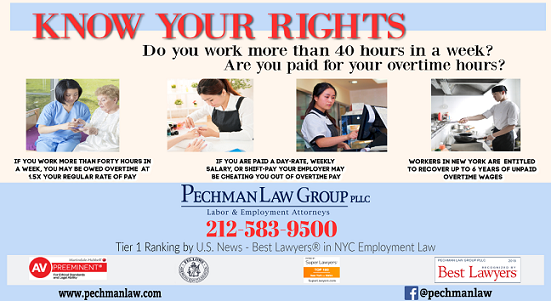 KNOW YOUR RIGHTS: Are you paid for overtime hours? 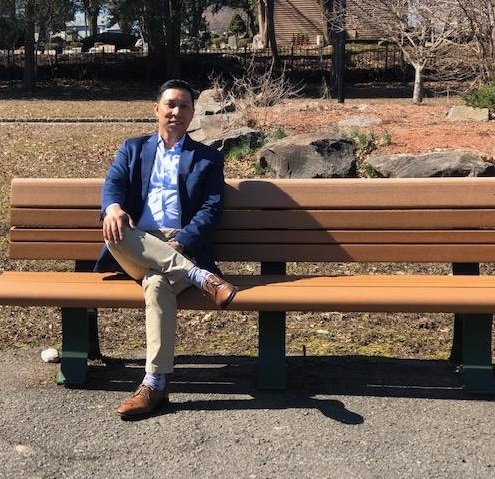 At the Bergenfield Boro Park where the freshwater lake lay still and the geese seemed to tiptoe around it, Councilman Arvin Amatorio laid out his plans for the town of Bergenfield. Arvin, 47, was voicing plans to bring the town –recognized as one of the safest municipalities in the U.S. – to a different level. He wanted Bergenfield to remain a quaint residential suburb ideal for raising a family yet one that thrives alongside a large, dashing city like New York. 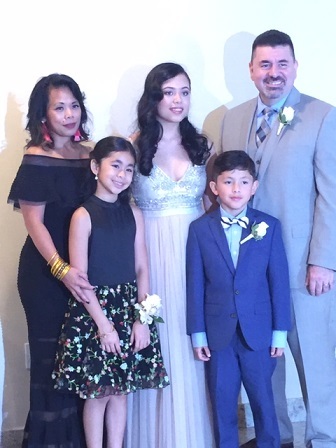 Arvin and his wife Ilya Evangelista were newly married and lived in Upper Manhattan when they discovered Bergenfield. Only 15 minutes by car, they frequented the town for grocery shopping. “That’s where we bought our food. It is closer than Jersey City or Chinatown,” he said in an interview with The FilAm. Bergenfield – founded by nomadic Dutch farmers in the 1800s — was where the couple bought their first property. Where they were blessed with two boys, Lance and Andrew. Where his law practice, Amatorio Law, originated. 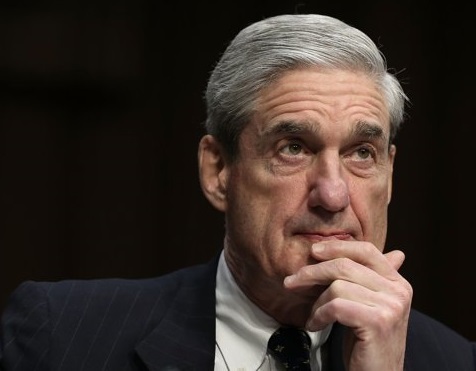 Where his political fortune continues to rise. Where he is now aspiring to become mayor. On his fifth year as a councilman – at one time the Council President — Arvin has been given paramount roles. As chairman of the finance committee, he fought tax increases, such that Bergenfield never had to raise taxes for two consecutive years. “Despite the fact that everybody is trying to increase their property taxes, we didn’t raise property taxes,” he said. “Zero last year, zero this year.” Asked how they are financing their town-wide projects, he said Bergenfield is spending conservatively and collecting taxes efficiently. “We look for grants and we are successful in our budget preparations. As chair of the finance committee, I make sure those things are happening,” he continued. Public Works & Parks and Police are his other committees. Arvin is the council’s liaison official to the Rent Leveling Board, the Veterans Advisory Committee, and the Zoning Board of Adjustment. When his mother was seriously ill late last year, often their conversation revolved around the notion that he would become mayor. “I would tell her, mom you should get well. I want you to be there when I’m sworn in,” he recounted. 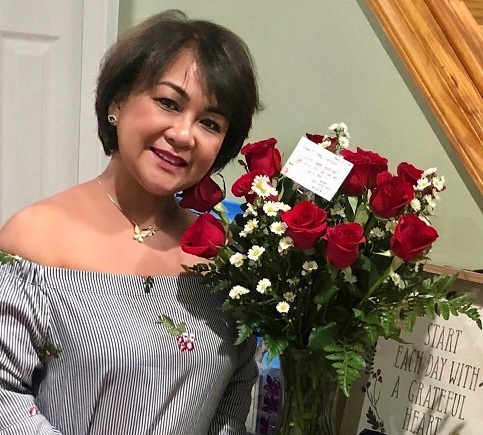 His mother, retired public school teacher Sonia Gomez Amatorio, would pass away on February unable to witness her fifth child’s further ascent into local politics. Sonia, who married into the prominent Angara clan of Baler, was herself into local politics in the province of Aurora. She was a long-time member of the municipal council. “She gave me some advice,” said Arvin. Arvin’s father, Librado Angara Amatorio, was also a public school teacher. 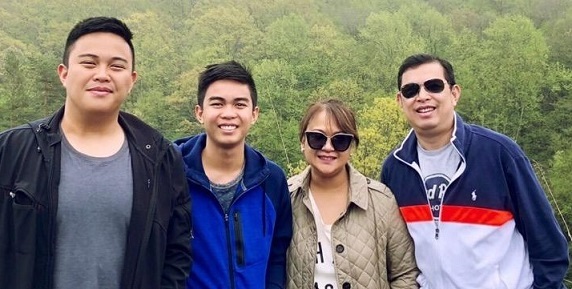 In fact, Arvin himself started working as a teacher when he first came to New York, although he had earned a Law degree from San Sebastian College. 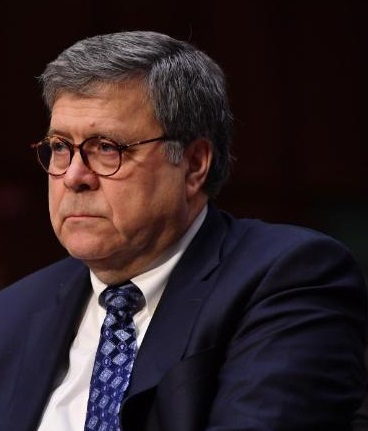 He passed the New York bar and quickly shifted from education to law. 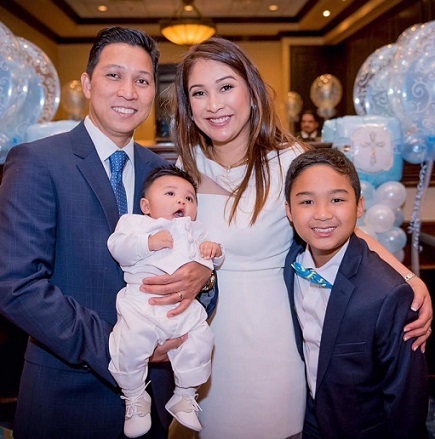 There are at least 5K Filipinos in Bergenfield – with a population of about 27K — many of them property owners, said Arvin, dismissing unwanted comparisons with the estimated 20K Filipinos in Jersey City. At younger son Andrew’s christening. With wife Ilya Evangelista and son Lance who is now 12 years old. 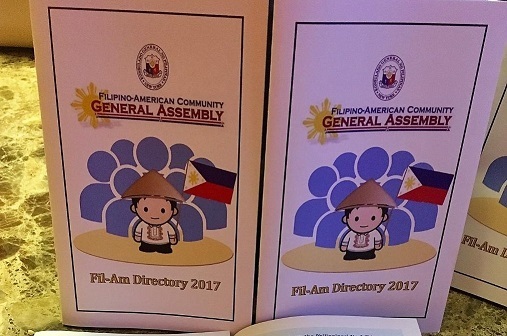 “It is not fair,” he said to compare Filipinos in both areas who are geographically in close proximity. Here is how he would dichotomize the FilAms in Bergenfield and FilAms in Jersey City. The Filipino, Arvin proudly notes, is ably represented in the town’s political leadership. 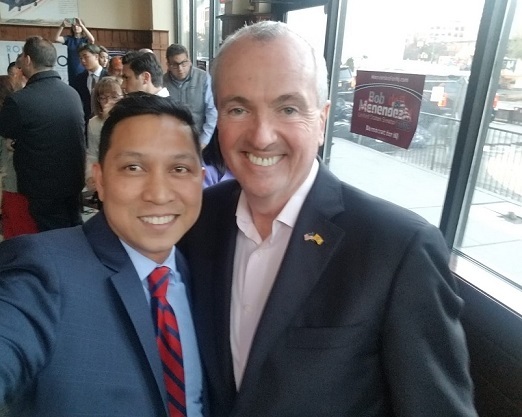 Robert Rivas, historically the first Filipino mayor in New Jersey, was Bergenfield’s chief executive from 2000 to 2002. In the current council, there is businessman Buddy Deauna, who won an easy victory in 2016. He owns the Asian Pacific Travel agency that has been in town since 1994. All three are Democratic Party members. “I didn’t think I would be into politics,” Arvin thought, looking back at how it all began.